O, drama, whence does it come? 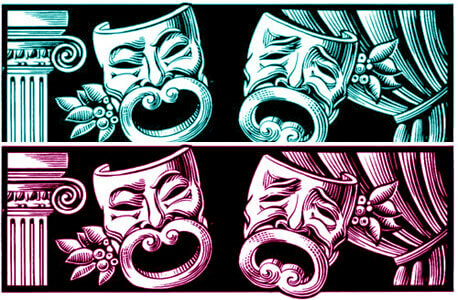 Kay Martinovich, a director, and Robert Schneider, a playwright, both professors in NIU’s School of Theatre and Dance, will explain “Where Drama Comes From” in a free public lecture Thursday, April 21. The lecture begins at 5 p.m. in the Diversions Lounge Theatre in the Holmes Student Center. Both professors will provide examples from their own work. Schneider is the author of “Daughters of Waterloo,” a historical generation-gap comedy which opens April 21, also in Diversions Lounge Theatre, and plays through Sunday, April 24, in a production directed by Stanton Davis. The two professors will illustrate their talk and answer questions afterward. The premier of “Daughters of Waterloo” follows at 7:30 p.m. The lecture is open to the public; seating is limited. For more information, email martinovichniu@gmail.com or rschneider@niu.edu or call the School of Theatre and Dance Box Office at (815) 753-1337.